I’ve been meaning to make this myself for ages. Useful in cocktails, it can also be used in soda or plain water to make lemonade or other sweetened drinks. One can tailor the amount of sweetness to just counterbalance a lemon or lime. I finally broke down and bought a bottle of Loblaws PC Black Label product and it’s well worth the spot in the fridge. A dash of simple syrup with lime juice and soda water is a great way to keep hydrated. I love all things chickpea, and while I’ve got lots of recipes for chickpea fritters, falafel, etc, sometimes you just don’t feel like getting out the food processor and spending summer days in front of the stove or oven. We’ve been enjoying the Mediterranean patties and the Falafel Chickpea balls. I find them in large packs at Costco and in smaller packages at my local grocer. I picked mine up at Costco last summer. We have air conditioning at our place, but for a variety of reasons, mainly due to the poor construction of our house, all the cool air tends to drop to the basement, leaving our bedroom toasty and humid. Our Bionaire fan has energy saving settings (auto off, for example) and is powerful enough to cool us down while we’re trying to fall asleep. 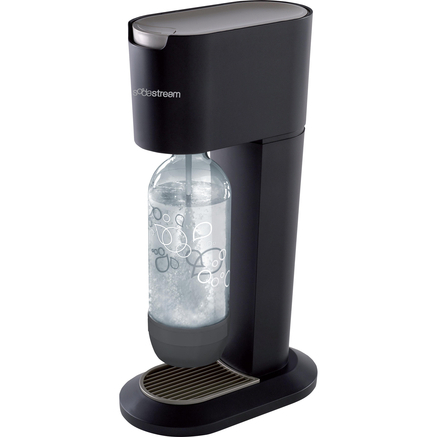 Cold tap water on demand. Isn’t that what empty gin bottles cry out for in their second life? We use the lovely blue Bombay Sapphire Gin bottles, scrape off the labels, and keep them full of delicious Toronto tap water in the fridge. No more running the tap until the water gets….er….kinda cold. Any other tips from my readers on staying cool? Use the comments!